I am painting Songs & I do work on commission of paintings from photos or postcards. Which is the favorite song you want for you, or to give as a gift for someone special? 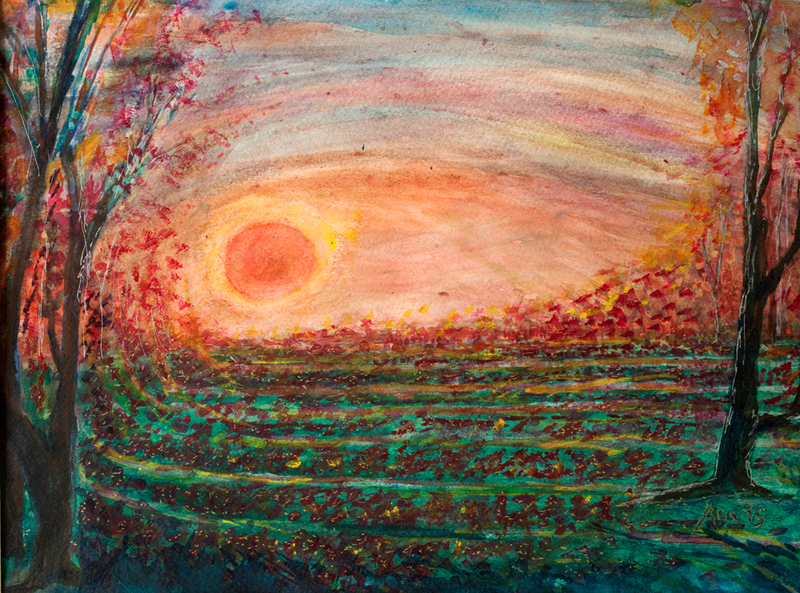 Another paintings of the song : Yesterday. Very wonderful work, Ana. Thank you for sharing it with me. I bought “mi arbol y yo” last weekend. Fantastic painting, looks beautiful in my home. Yes, I looked up the song — and I know enough Spanish to understand it. Please let me know when your next show/ fair is. Congratulations, I really like your paintings. They leave a lot to your imagination. I love the concept of painting a song. Very nice gallery. Congratulations, Ana! 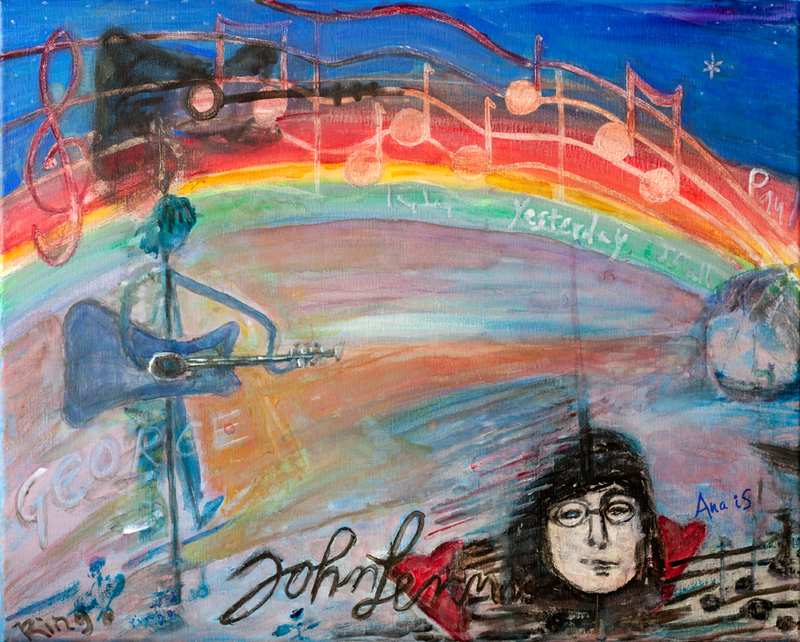 I love the strawberry fields painting. It does capture the joy and fun of the song. Do I have a favorite song?